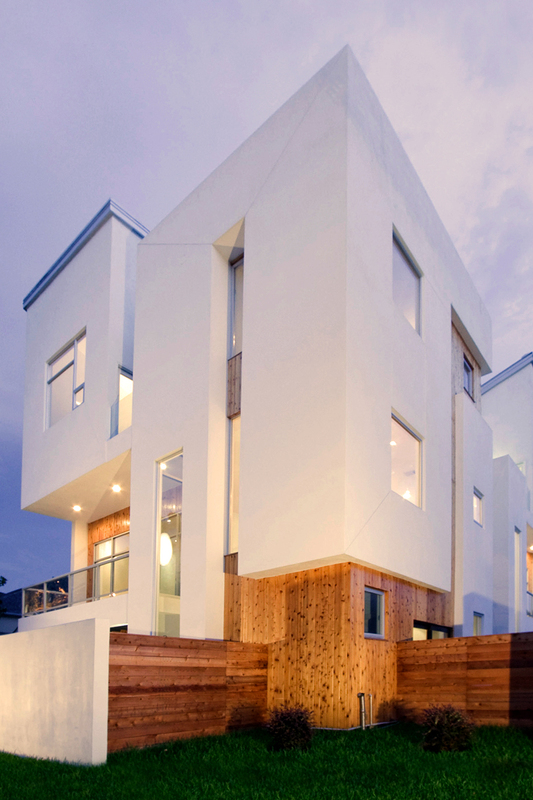 The Austin TH project expands on The 505’s exploration of urban development. 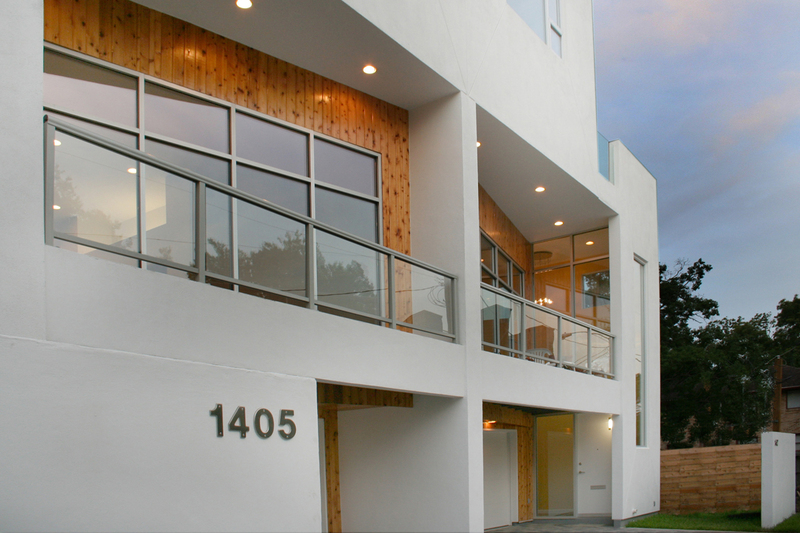 This 3-Unit project lies in Houston’s Midtown area just north of the Museum District. 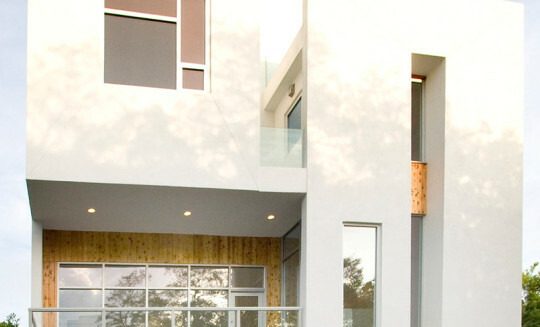 Decks, yards, and balconies work in concert with adjacent interior rooms to expand the sense of usable space. 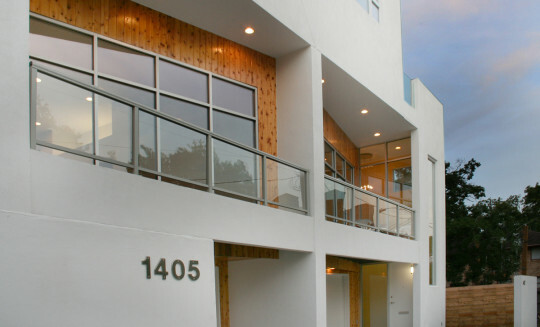 Large roof decks provide strong urban views with the corner unit having full 180-degree sight-lines from downtown to the medical center. 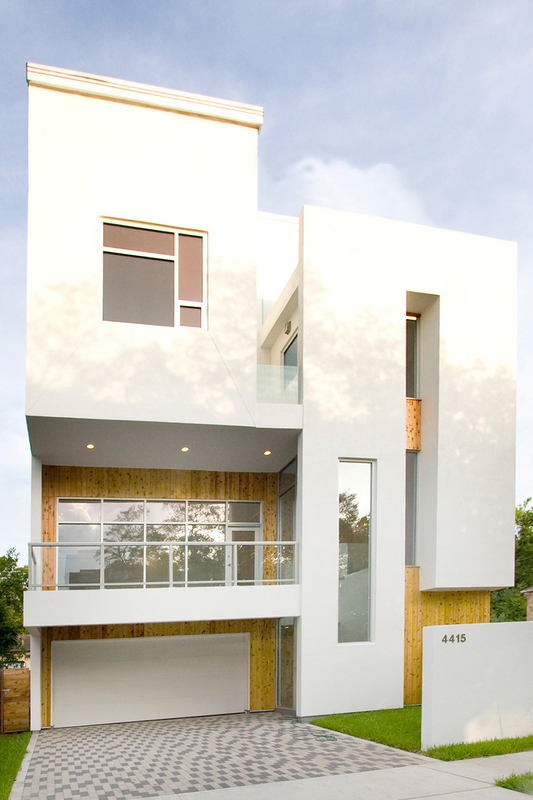 A contemporary material pallet of stucco and glass combines with the warmth of wood siding to give the exterior its distinctive and modern look. 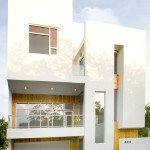 The project also succeeds as a responsible development by employing numerous “green” design techniques and materials. 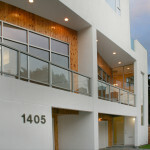 For this version of the design, located in Houston’s Rice University area, the owners requested a modification to include a ground floor master suite, additional bedroom space upstairs, and a unique, 3-story, steel and glass master closet. A 2nd floor office with balconies on two sides hovers over the carport and provides a vantage point for monitoring children playing below. The house’s relationship to the neighborhood was of primary importance to the Owners who have lived on this street for many years. 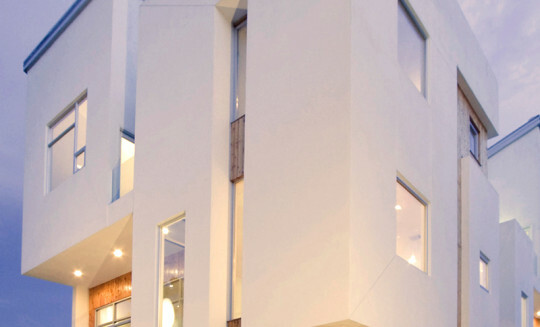 With a refreshing attitude toward community, the open carport / landscaped yard area is utilized as a play area for all the kids on the block and serves as a gathering place for the entire neighborhood.